1. Not receive opponent's information and game starts. Add a sync mechanism to make sure info exchange is done. 1. Add "Control" for players to select left hand or right hand. 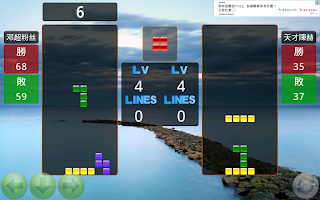 Each mode will result in different play layout. 2. The rectangle of "Playing Region" for the current player will blink for 5 seconds when the game starts. 1. Block will flash one time when it's on ground and player presses Down button. 2. 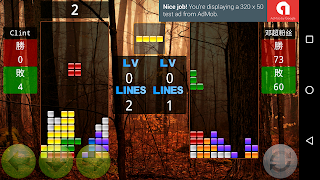 Only show one LV/LINES in double game. 1. 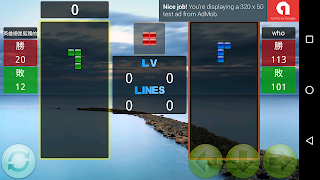 Add Fight in Internet and Private Room functions for players to play double game more easily. 2. 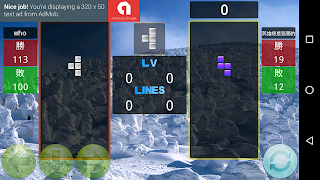 In Double game, it will show two player's infomation. 4. Double pressing back key to leave the game. 1. Many network error handle. 1. 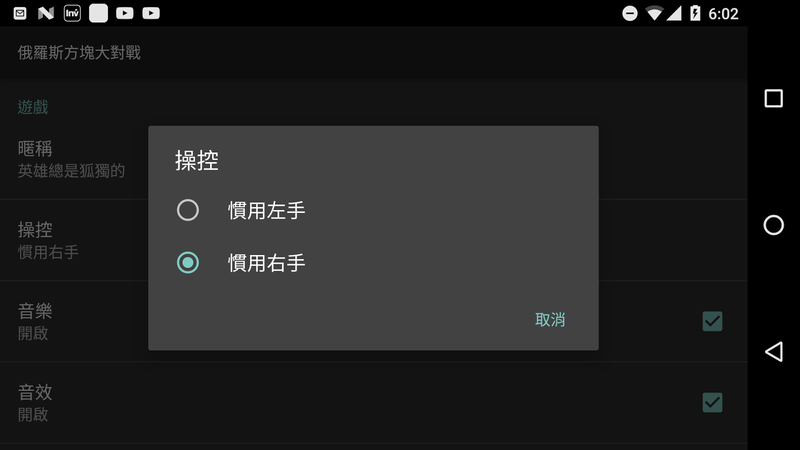 New style button icons and flexiable layout for large tablet. 2. Remove Double Master and Double Slave related functions. 4. Private room game result will not be counted into double fight record. 5. No pause button in double game. 6. 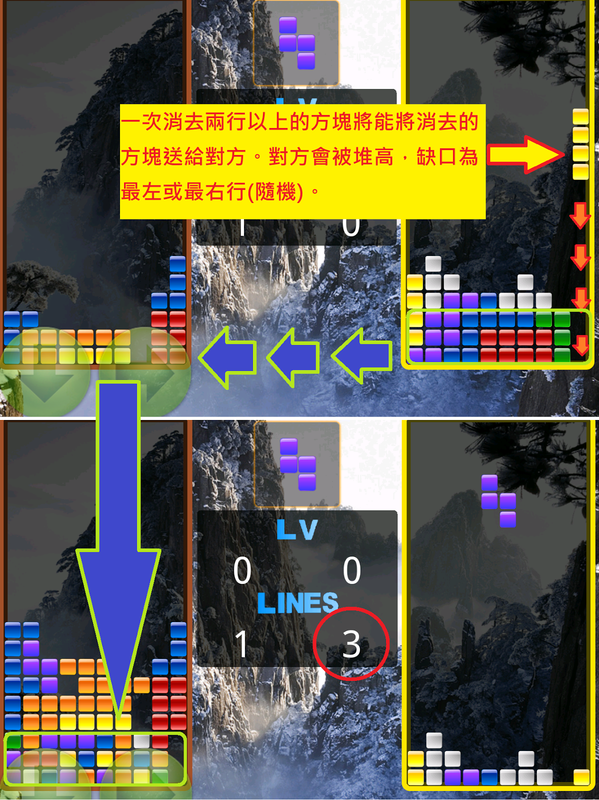 In double game, disconnecting from the game will lose. 2. 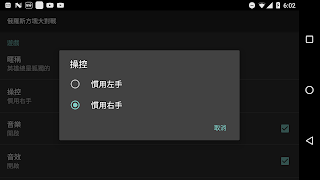 The KBSoft Android app collects the user's mobile phone ID, brand, model, and operating program version as a Google GCM push and is used for identification/statistical purposes. Without your consent, we will not use your personal information for any other purpose. The server will record the relevant actions on its own, including the IP address and usage time of the connection device, which will be used as a reference for our app service. This record will be used for internal applications. 3. KBSoft as much as possible to protect the user's personal information, including regular security overhaul, the implementation of relevant security updates to ensure the safety of user data. Hosts are equipped with firewalls, anti-virus systems and other related information security equipment and the necessary security measures to protect the site and your personal information using strict protection measures, only authorized personnel to access your personal information. In the event that it is necessary to entrust other units to provide services as a result of the business needs, the Site will also strictly comply with its obligation of confidentiality and take the necessary inspection procedures to determine that it will comply. 5. KBSoft reserves all the rights to modify, the revised terms will be published on the website. Q How to control blocks? 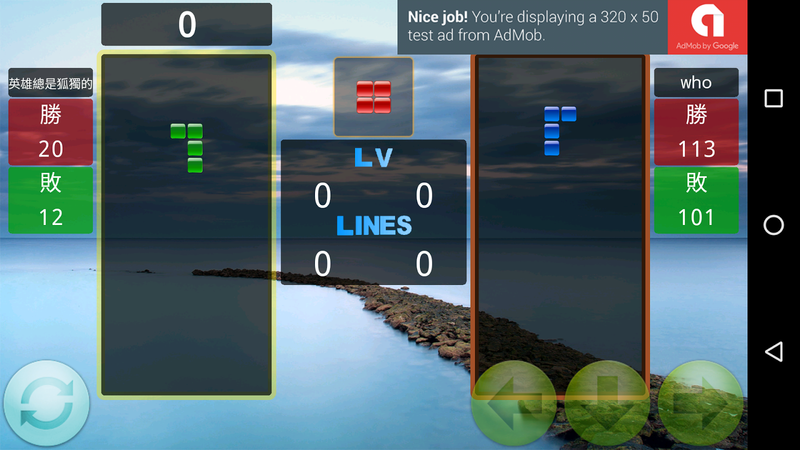 Try the 4 buttons on the bottom of the play screen. You can move block left/right/down and rotate it. 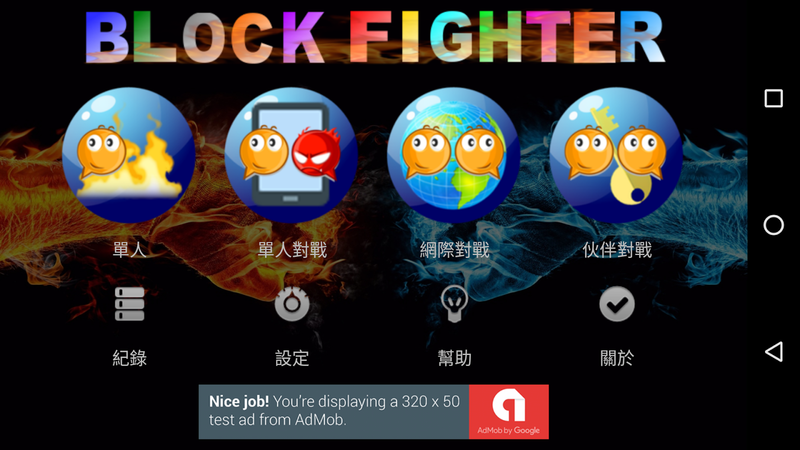 Q What is Single Fight game? You can play with AI in this mode and the AI speed can be selected under setting. In fighting, you can attack AI by cleaning 2 lines or more in one drop and vice versa. 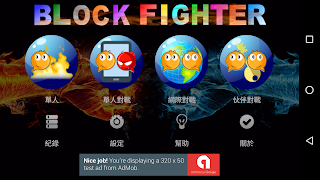 Q How to "Fight in Internet" ? 1. Make sure your network setting is fine. 2. Press "Fight in Internet" button. 3. If someone is waiting, the game will be starting. Otherwise, just need to wait other unknown opponent from the internet. 4. Anytime, you can cancel the waiting. Q How to play with my friend? 1. Make sure your network setting is fine and press "Private Room". 2. Select open a room, the room number will be shown in the bottom box. 3. Tell your friend the room number to enter. Q. 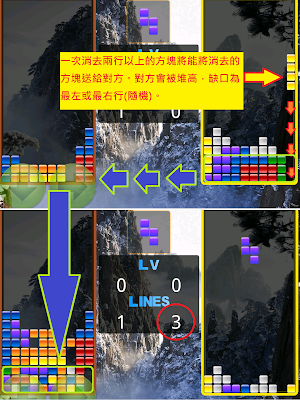 What is the rule of double player game? 1. The starting level is set by the player who entered the battle field first. 2. No pause for the double player game. 3. The player who leaves the game will lose the game. 4. The player who disconnects from the game will lose. 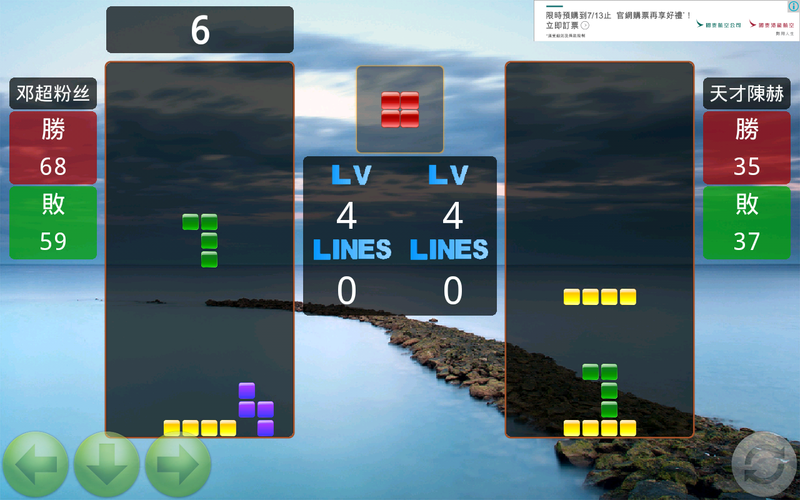 piling up the blocks in opponent's screen. Q What does Grade mean? 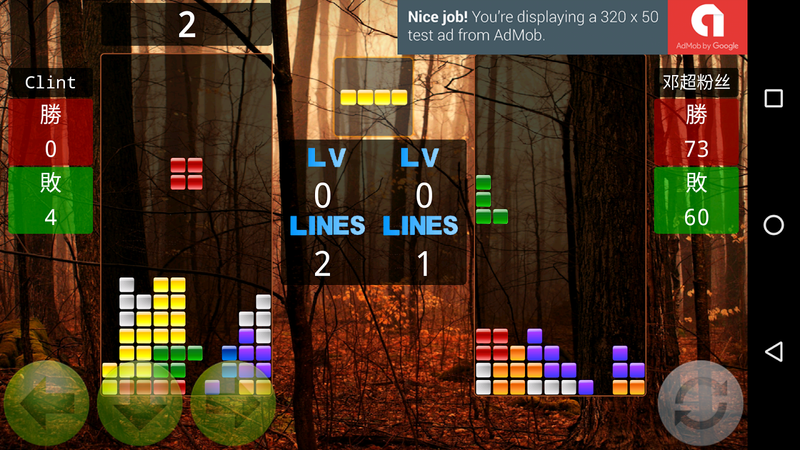 It's a comprehensive rating about your exp in the double game. The exp value is highly related to your win/lose/score. We may assign special ability for grades in the future. Q What's the highest grade? Q What can I set in Setting? 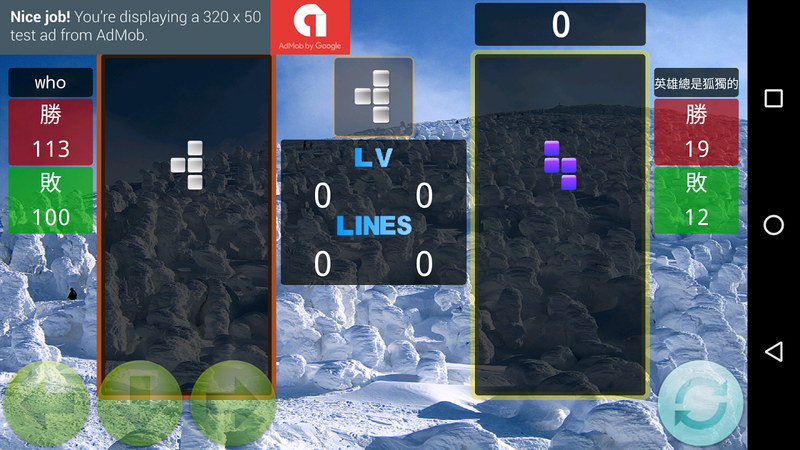 Nickname, right/left-hand control, button properties, game music and sound, start-level for each kind of games, AI speed. Q Where can I see my nickname? Q Why need I select my account to join double game? account for our server to identify. Q How many levels are there in this game?